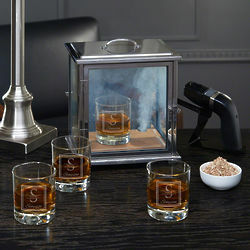 Even if they can't sip their drink around a fire they can get that smoky flavor with this kit that brings them the latest trend in liquor consumption. Custom glasses are placed in the case for a special infusion. By Mail or E-Card - In-Store or Online - World Class Cooking Classes. Help them get that healthy glow.